To be part of the emergency/trauma team. o oversee a 3 bed Intensive Care Unit. • Good salary and working conditions, plenty of leisure time to explore the Outdoors of Swaziland and surrounding areas. 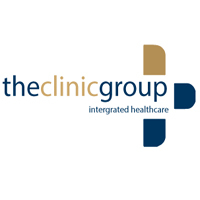 The Clinic Group provides private healthcare services to people residing in Swaziland. We have two private hospitals open 24 hours, 7 days a week: Mbabane Clinic and Manzini Clinic. Matsapha Healthcare predominately specializing in industrial healthcare, open Monday to Friday from 8am to 4.30pm. The Clinic Group strives to be the healthcare service provider of choice in Swaziland with a comprehensive range of quality medical services for our patients, and where it is not possible for us to provide a particular service we will source it fit for our patient. Contact our reception in advance to know whether your medical aid is accepted. If your medical aid is not among those that we accept, you will have to pay a deposit and follow the procedures in place for private patients. On discharge, we will give you all necessary invoices and receipts that will allow you to claim a reimbursement from your medical aid. Your medical aid will be contacted before, or on admission (emergencies) to confirm your membership, availability of funds and obtain an admission pre-authorization reference. If confirmation is not given, you will have to pay a deposit and follow procedures for private patients. Shortly after your discharge The Clinic will submit the account to the medical aid with all the necessary information. Please note that until the account is paid in full, you remain liable for the account. For medical and surgical cases, the required deposit will be assessed according to the type of procedure. Please note that this payment is only a deposit based on an estimation of the final account, and that you might be required to pay an extra amount on discharge when the final account is available. Should the deposit be greater than the final account The Clinic will reimburse the difference within 30 days after discharge. We accept cash and credit cards. Personal cheques are not accepted unless prior arrangement is made with management.